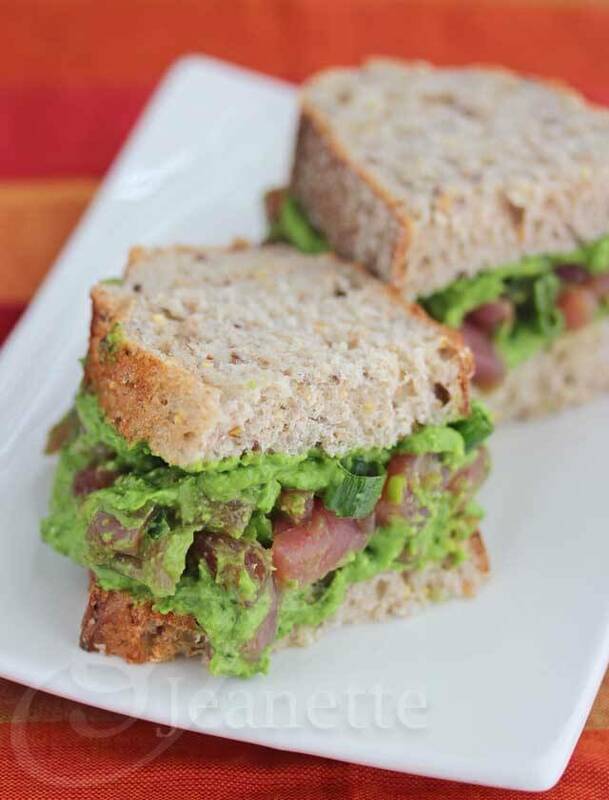 This brain-boosting Ahi Tuna Spinach Avocado Pesto Sandwich is packed with antioxidants and anti-flammatory ingredients, made in hopes of preventing Alzheimer’s Disease through the foods we eat. 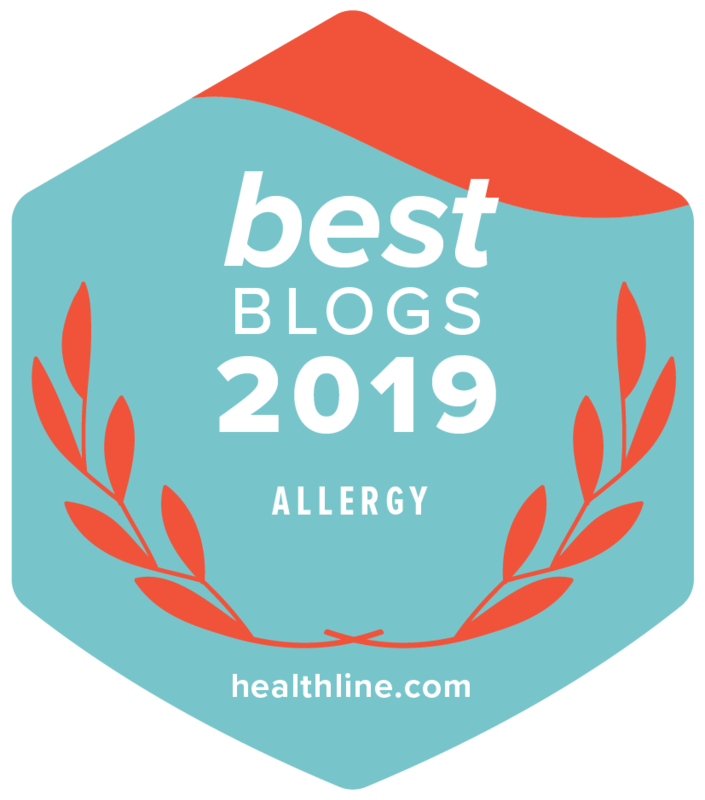 Recently, I’ve been reading about the healthy benefits of the Mediterranean Diet (a 30% reduction in the risk of major cardiovascular events) as well as the connection between what we eat and epigenetics (read more about this in my post on The Longevity Kitchen). I find the topic of Food As Medicine fascinating. 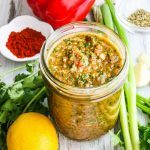 So, when I received a review copy of The Alzheimer’s Prevention Cookbook written by Dr. Marwan Sabbagh and Chef Beau MacMillan, I was curious what Dr. Sabbagh had to say – are there really foods that we can eat to prevent Alzheimer’s Disease? Many of you probably know someone who has been afflicted by Alzheimer’s Disease. There are currently 5.4 million people diagnosed with Alzheimer’s Disease in the United States, and by mid-century there are expected to be some 16 million people suffering from Alzheimer’s at a cost of $1 trillion a year. Worldwide, there are an estimated 27 million people with Alzheimer’s Disease. Although treatment can slow the progression of Alzheimer’s and help manage symptoms in some people, currently there is no cure for this devastating disease. Most people with Alzheimer’s disease have “late-onset” Alzheimer’s, which usually develops after age 60. Alzheimer’s Disease is believed to develop because of a complex series of events that take place in the brain over a long period of time (20 years before symptoms occur). It is likely that the causes include some mix of genetic, environmental, and lifestyle factors. Research suggests that a host of factors beyond basic genetics may play a role in the development and course of Alzheimer’s disease, e.g., heart disease, stroke, high blood pressure, diabetes, and obesity. New research suggests the possibility that a nutritious diet, physical activity, social engagement and mentally stimulating pursuits, and other factors also might help to reduce the risk of cognitive decline and Alzheimer’s disease. Although there are unmodifiable risk factors (e.g., age, genetic influences, female gender), there are also modifiable risk factors (such as hypertension, elevated cholesterol, diabetes, heart disease, obesity) that can be mitigated through the foods you eat. There is no known cure for Alzheimer’s Disease today, but eating better when you’re in your 30’s through your 60’s might help your brain work better and help stave off Alzheimer’s Disease. 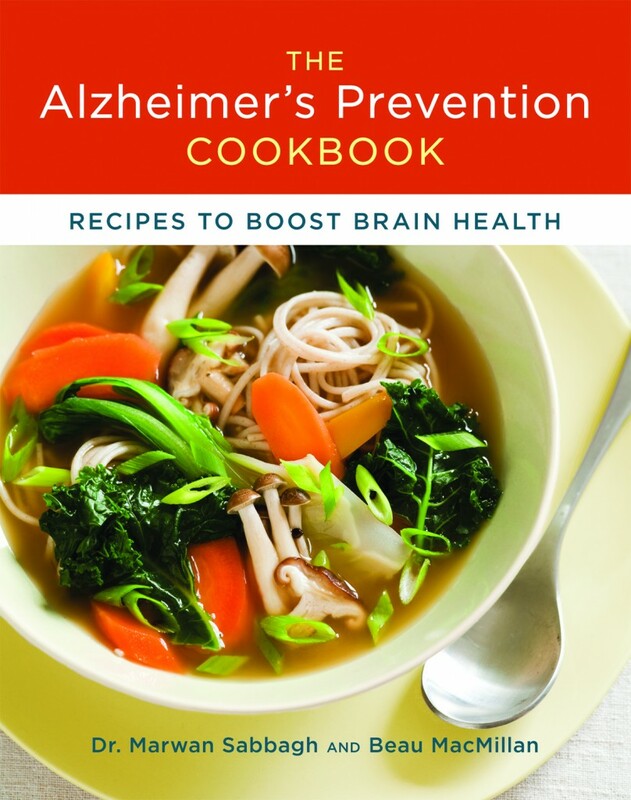 The Alzheimer’s Prevention Cookbook is all about prevention and risk reduction. The information in this book is based on Dr. Sabbagh’s critical review of various studies and published literature on this topic. Currently, there are no general guidelines for diet that might prevent Alzheimer’s Disease, so Dr. Sabbagh’s book is an attempt to provide some guidelines that people can follow. 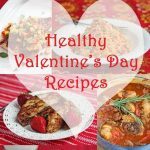 His guidelines follow closely with the Mediterranean Diet. The idea is to treat your brain right while you’re still healthy. 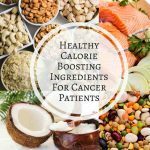 And, unlike medication, healthy foods are available to everyone at minimal expense and have no negative effects. The 100 recipes in The Alzheimer’s Prevention Cookbook reflect Chef Beau MacMillan’s (executive chef of Sanctuary on Camelback Mountain) culinary interpretation of ingredients that could prevent Alzheimer’s Disease, packed with antioxidant-rich and anti-inflammatory foods (from a variety of fruits, vegetables, nuts, seeds, beans, grains, and spices), foods rich in omega-3’s (fatty fish) and low in saturated fat. Although more scientific studies need to be done, why wait to change your food choices and lifestyle? The same foods that could prevent Alzheimer’s Disease will also help reduce susceptibility to inflammatory diseases such as heart disease, cancer and diabetes. 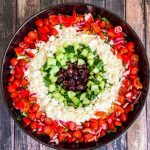 The Mediterranean Diet has been proven to substantially reduce the risk of heart disease, and it may help prevent or slow down the progression of Alzheimer’s Disease. So, why not start today? 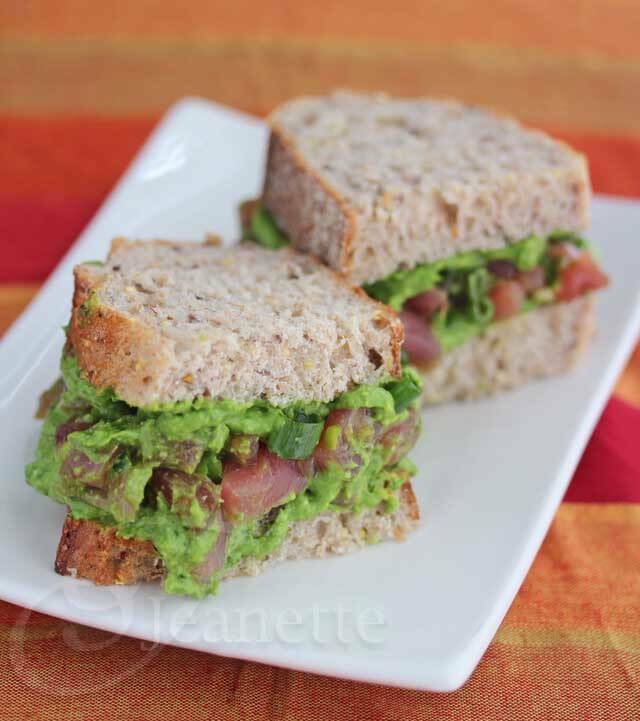 Today, I’m sharing a brain-boosting recipe for Ahi Tuna Spinach Avocado Pesto Sandwich, based on a recipe from The Alzheimer’s Prevention Cookbook. I’ve put my own twist on this sandwich, but you’ll get the idea – this recipe is packed with omega-3 rich tuna, polyphenol-rich spinach, and healthy fats (avocado, olive oil). Inspired by Chef MacMillan's recipe from The Alzheimer's Prevention Cookbook. Place spinach, pine nuts, garlic and olive oil in food processor and process until finely ground. Add avocado and lime juice and process until smooth. Season with salt and pepper to taste. 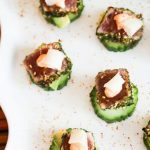 In a small bowl, toss together tuna, soy sauce, sesame oil and 2 tablespoons of Spinach Avocado Pesto. 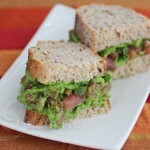 Spread remaining 2 tablespoons Spinach Avocado Pesto on bread slices. Spoon tuna mixture on top of 2 bread slices. Cover with remaining bread slices. I believe that what we put in our mouths and digest is extremely important and ties together with our illnesses. So I say yes and amen to this. Thanks for the giveaway! I recently read about the effects of exercise on brain health and it makes sense that diet would also impact your brain just as it does the rest of your body. 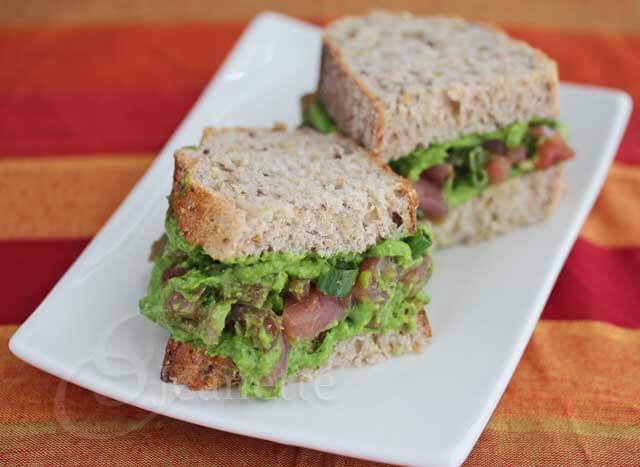 I love tuna and avocados and spinach, so I am looking forward to trying this sandwich! That is one fantastic sandwich–healthy, delicious and perfect in every possible way! Going to try it soon! Thanks for sharing…oh and awesome giveaway! Thanks Sandra – this was very good – almost like have a tuna tartare sandwich. 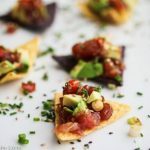 I am a huge fan of ahi, but never serve it at home. I would do this minus the bread-so delicious!! 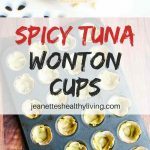 EA – if you can get your hands on fresh sushi grade tuna, it’s so easy to make at home. I could have eaten this on its own too! Love this, Jeanette. I’m a big fan of using food as medicine, especially when it comes to prevention. This looks fantastic! Thanks Faith – prevention is the key with Alzheimer’s since there is no cure at this point. I believe diet can help many ills; I would support this idea wholeheartedly – I would LOVE this book! i’m also a big beliver in the concept of “food is medicine” and would love to be able to get this book. thanks for the chance to. I think it is an excellent approach. I have watched one of my in-laws suffer from dementia, to the point of not knowing any loved ones any more, and would like to help prevent this in my spouse. Karen, dementia is such a tough disease to watch loved ones suffer from. It would be great if we could reduce the number of people who get it in our current and future generations. From what Dr. Sabbagh says, it’s important to eat healthy starting when we’re young as once the symptoms kick in, it’s too late. Diet can help with healing the body. I went on a vegetarian diet and in 2 months by cholestrol dropped 10 points! I think preventing Alzheimer’s through diet is a great idea! I know that Alzheimer’s runs inmy family and we try to slow its progression through diet and exercise. Its been almost one year to this date that I’ve been watching my mother decline due to a downward spiral from dementia- undoubtedly the most difficult year of my life. Focusing on proper nutrition is such a crucial role in keeping our minds healthy. Tammy, so sorry to hear about your mother – it is so tough to watch your loved one decline so quickly. After reading this book, I am even more convinced that it is critical to start healthy eating habits early on. Thanks Sommer – this was packed with protein – I have to confess, it was rather big and I could only eat half. Why not? 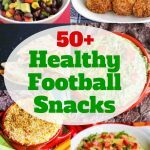 Even if this doesn’t exactly work the way it is supposed to, eating healthy is still a good idea. 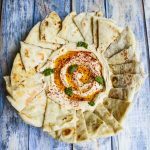 Hi Meridee, your daughter is incredibly talented and I always enjoy reading her posts and recipes. I think it’s possible, in any case more knowledge is always a good thing I say! I have a girlfriend with early-onset Alzheimers. She just turned 50. It’s hard to watch and it’s progressing very, very quickly. She has a 13 year old daughter just like I do. I haven’t heard of this book, but I think it should hold a top place on my shelf. Thanks for the introduction. What an insightful and interesting post, Jeanette. I had no idea that nutrition played such a vital role in mental health. 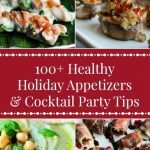 Thank you for sharing this book, giveaway, and delicious recipe! From what I’ve read and heard, it seems to me that having high cholesterol and heart disease is really the biggest lifestyle risk factor for Alzheimer’s! This sandwich definitely does good to mitigate it! I need this in my life. I think it’s good to eat healthy no matter what, and if reducing our chances of Alzheimer’s is a side-effect, then good! Since this awful disease runs in my family, I think it’s worth trying different options. This sandwhich looks great. I can’t wait to try it. Thanks for the recipe. I believe food is our medicine to good health but also being educated about the right food choices is critical to our future of the longevity of our lives. We make our food choices on the benefits it will make to out health and we have really seen a difference.